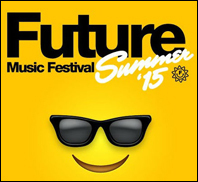 SYDNEY (CelebrityAccess) — Organizers for Australia's Future Music Festival announced that 2015 would be the final year for the popular event. In a post on the festival's Facebook page, a spokesperson said: "We’re very sad to say that we’ve decided 2015 was the last year for Future Music Festival. "It’s been a difficult decision to make but in the end travelling the festival in its current form across Australia simply doesn’t make financial sense anymore. "We want to thank you all for your support over the years – we’re grateful for all the unforgettable times we’ve shared together." First held in 2006, the touring Future Music Festival grew to become one of the most successful dance music festivals in Australia. However, after being acquired by the Mushroom Group in 2013, the festival saw some setbacks, with expansions of the event canceled after 1 day in Malaysia last year, after the event was marred by a drug death. Another planned expansion into Singapore this year was also canceled at the last minute due to trouble securing permits.